Question 1: Does professional counsel make a difference and, if so, is there a difference in results between firms that take a more advisory versus assistance oriented approach? The study shows that, on average, churches using professional counsel outperformed those who did not by a margin of more than one-half times the church’s annual gift income from members. 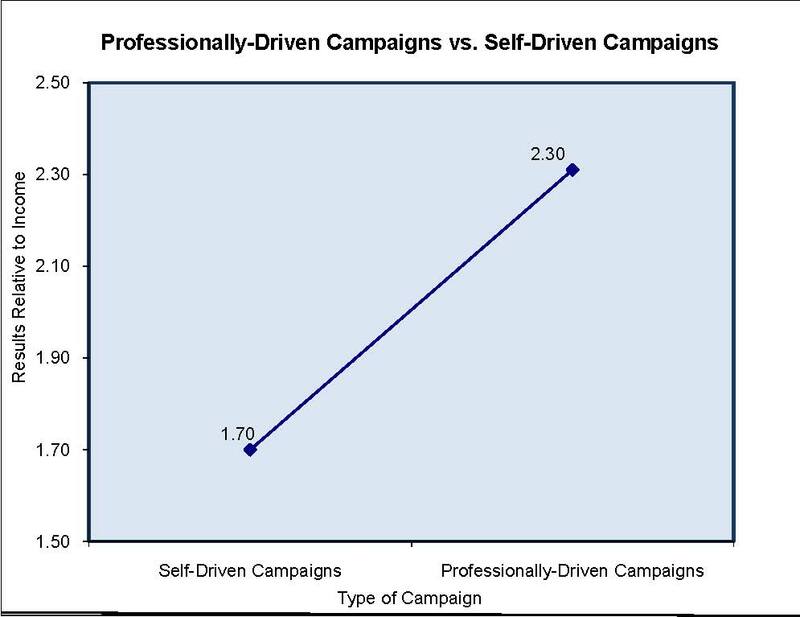 In fact, churches that did their own campaigns raised, on average, 1.7 times their church’s annual gift income compared with those who utilized professional help who raised, on average, 2.30times contribution income from members as indicated in the graph below. 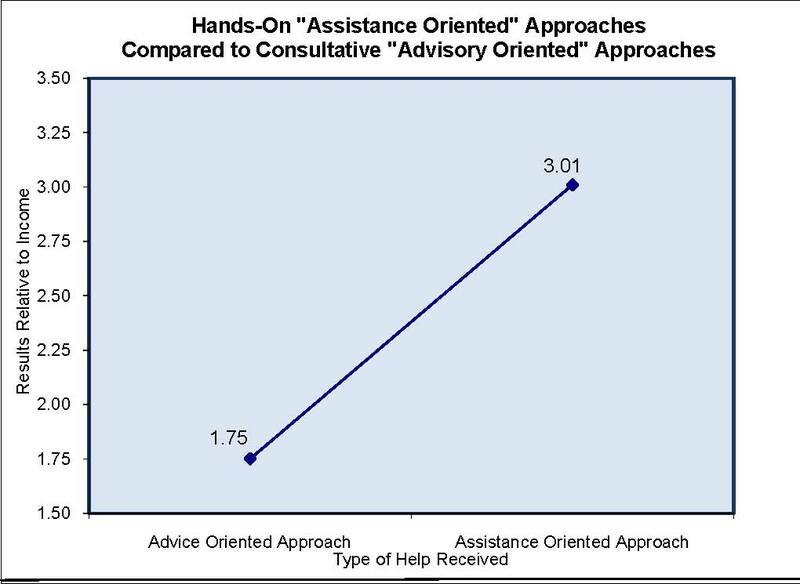 But the study also revealed that there is a vast difference in results by firms that take a very hands-on “assistance oriented approach” versus those who take a more consultative or “advisory oriented approach”. In fact, the research revealed that churches that received 30 or more days of on-site service from the individual or firm directing their campaigns raised, on average, 3.01 times the church’s annual member contribution income compared with those that provided less than 30 days of service who raised, on average, 1.75 times member contribution income as indicated in the graph on the following page. 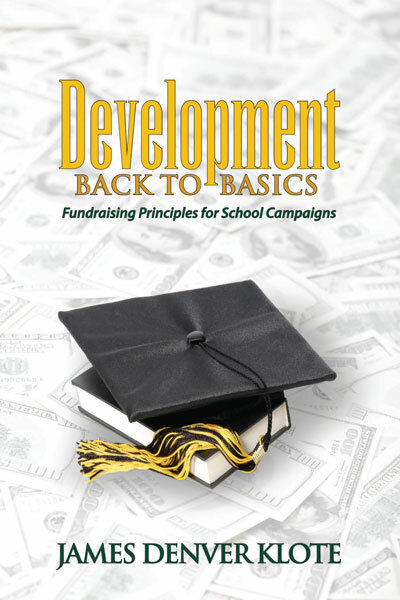 Conclusion:Hiring a professional fundraiser to assist you in your church capital campaign will, in most cases, positively affect campaign results. This is especially true when you hire an individual or firm that provides 30 or more days or 300 or more hours of on-site, hands-on assistance to you during the course of directing your campaign. But before you begin a campaign at your church, it’s wise to check with churches that have done projects similar to yours and have used the various firms you are considering to ask them: a) what they raised in their campaigns, and b) what their contribution income was from church members at the time of their campaign. A compilation and division of these sums will give you each firm’s “results relative to income ratio” or “performance results” which, when applied to your church income, can give you a realistic projection of what you might expect to raise in a similar project with that particular firm’s assistance. Alternatively, you could also use the ratios shown on page 5 of this report, which shows results relative to income ratios for the firms that were named multiple times as being used by churches in this survey. Finally, subtract the firm’s costs (fees plus travel expenses) from these income projections to get to what you might expect in “bottom line results” to see which firm and approach is the best value and investment. In summary, you’re best off to utilize professional counsel in your church capital campaign as long as their bottom line results exceeds the bottom line results of what you might expect doing a campaign on your own (1.75 times income less anticipated expenses for printing, postage, secretarial support and special events plus the cost of the person’s time who would be assigned to direct it). The study shows that the more personally churches reach out to people to ask them for their gifts, the better the results you can expect. In fact, churches that utilized a strategy that involved reaching out to a majority of their members one-on-one or “in-person” to ask for their gifts, raised, on average, 3.24 times church giving. 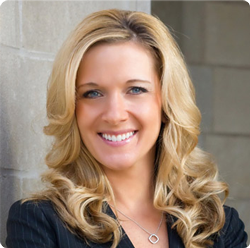 This compared with those who chose more passive and less direct solicitation strategies such as asking most members for their gifts in small or large group settings like receptions and banquets, in services or through other methods. This approach raised, on average, only 1.92 times church giving. 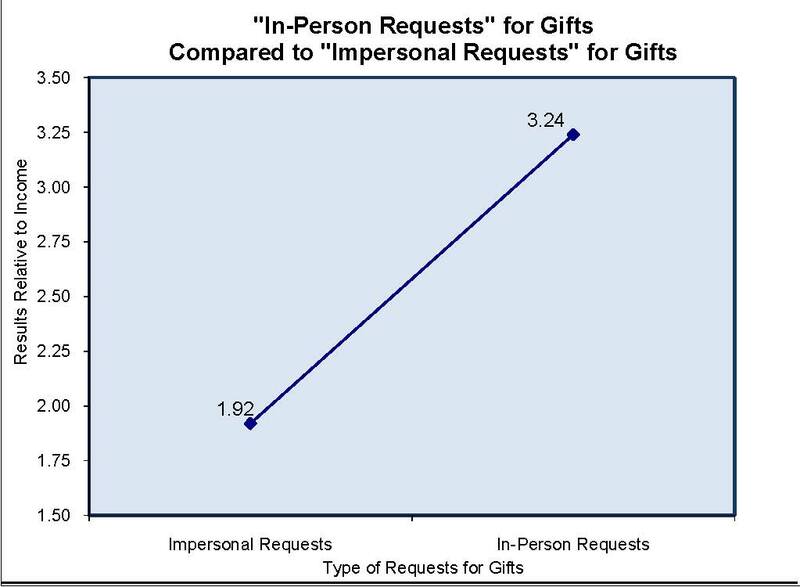 This is significant and indicates that trying to reach out to a majority of members personally to ask for gifts consistently and significantly out produces asking for gifts in larger group settings or in less personal ways as the chart below indicates. Conclusion:The more personally that you ask members for their gifts, the better the response and results. “In-person requests” produce far better results than “impersonal requests” or appeals to people for their gifts in small or large group meetings, receptions or other activities and events. Question 3: Which firms or approaches consistently get the best results? The adjacent chart shows how various firms that churches have used fare in “results relative to church income” which is perhaps the greatest measure of a firm’s productivity in church campaigns. It is important to note the firms that have proven to be most productive in church capital campaigns are those that provide a high level of on-site, hands-on support (30 or more days) and employ a strategy that seeks to solicit support from a majority of church members in-person. 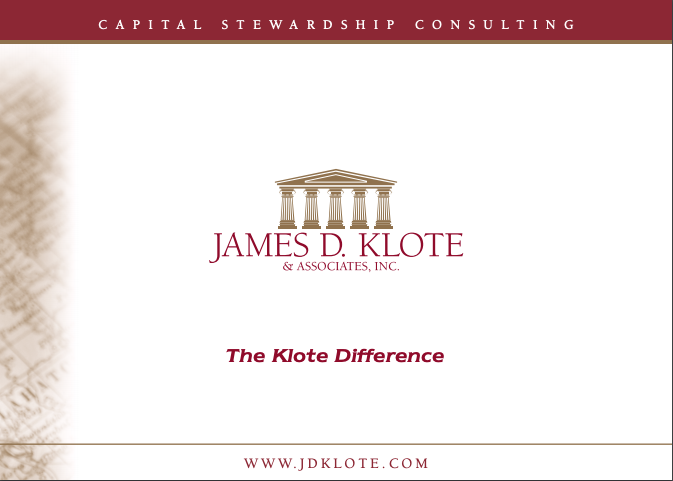 Church capital campaign outcomes do differ dramatically depending on the approach that churches take to them. Seemingly subtle differences do make substantial differences in rewards or results. 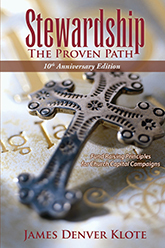 The most successful church capital campaigns are ones that are professionally driven by firms that take a highly individualized and assistance oriented approach, limiting the number of institutions they simultaneously serve and providing 30 or more days of on-site, hands-on assistance or support during the active phase of the campaign. The most successful church capital campaigns are also personal outreach oriented endeavors where gifts are asked for “in person” rather than “en mass” or by any other means.